Admittedly, this list is a bit depressing... I find it hard to believe that I'd never heard of this until very recently! 1] Due to inevitable exposure, every person on the planet may have plastic in them?! Although the language in Part 1 of 12 is vulgar at times, Garbage Island is a compelling documentary and includes commentary by Charles Moore. As of today, nine of the twelve segments are currently available. 3] Here's how the oceanic trash vortex works; and an alternate explanation from 'How Stuff Works'! 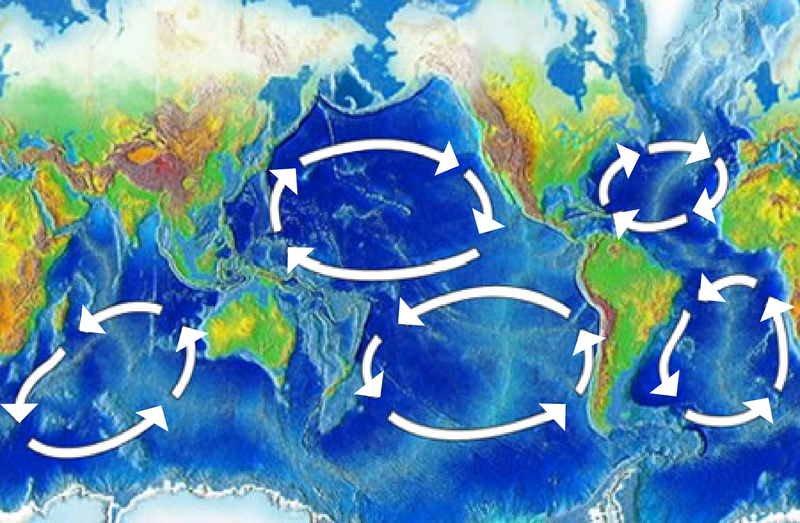 4] The Great Pacific Garbage Patch is real, and like Cheerios in a bowl of milk, is collecting all sorts of plastic. 5] More and more mainstream news stories are bringing 'bisphenol A' into our vocabulary.